Product #21346 | SKU R116.137 | 0.0 (no ratings yet) Thanks for your rating! 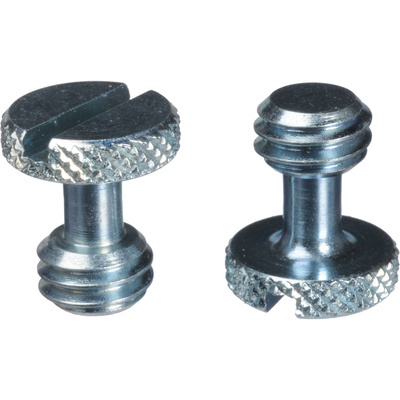 These two 3/8"-16 Quick Release Plate Screws from Manfrotto atttach your camera to your quick release plate. They are replacement or spare parts for select quick release plates. Replacement part for the following quick release plates: 293, 303SPH, 316, 357, 357PLONG, 357PLV, 410PL, 454, 500A, 500AH, 501, 501PL, 504PLONG, 509PLONG, 510-10,5, 510-8,5, 561B, 577, and 595CLA.